We are a leading Consultants of private limited to public limited service, rera registration, 35ac registration, patent registration, shop act registration and nsic registration service from New Delhi, India. We are one of the leading service providers of Private Limited To Public Limited Service. The Real Estate (Regulation and Development) Act, 2016 provides for establishing regulatory authorities at the state level to register residential real estate projects and seeks to regulate contracts between buyers and sellers in the real estate sector to ensure sale of plot, apartment or building, etc. in an efficient and transparent manner. It also proposes to ensure greater accountability towards consumers, and significantly reduce frauds and delays as also the current high transaction costs. By imposing certain responsibilities on consumers and promoters, it attempts to balance the interest of both. It seeks to establish ease of information between the promoter and purchaser, high level of transparency of contractual conditions, set minimum standards of accountability and a fast track dispute resolution mechanism. The real estate sector plays a vital role in fulfilling the need and demand for housing and infrastructure development in the India. While this sector has grown rapidly in recent years, it has been largely unregulated, though in India there is state apartment act, with the absence of professionalism and standardization. The lack of adequate consumer protection mechanism resulted in exploitation and profiteering by unscrupulous builders. Thus, the Real Estate Act will protect the interest of buyers and also give much-needed impetus to the sector. Main Objective of RERA Act. We offer our clients 35AC Registration at Reasonable Prices across India. 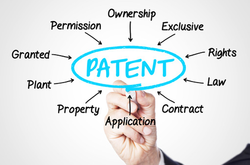 Patent Registration is an exclusive right of making, using, modifying, selling, offering for sale or importing newly invented articles or processes by its owner or inventor after going through with prescribed criteria of patentability search. Patent Registration grants ownership of 20 years. We are offering to our valued customers a supreme quality range of Registration Under Shops & Establishment Act. Registration under Shops and Establishment Act services. 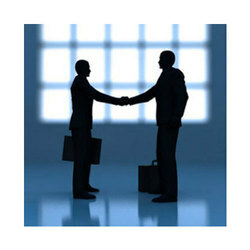 Our all business services are rendered to the clients with the help of well educated and experienced team members. 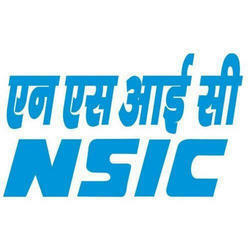 Backed by rich industry experiences, we are highly engaged in offering an optimum quality NSIC Registration Service. This is an important registration that assures their growth and can be provided to organizations having modern facilities, continuous up gradation and optimum quality in their processes. Owing to its noiseless execution and cost effectiveness, this service is widely acknowledged among our valuable clients. Our offered service can be availed by our clients at industry leading price from us. The Government is the single largest buyer of a variety of goods. With a view to increase the share of purchases from the small-scale sector, the Government Stores Purchase Program was launched in 1955-56. NSIC registers Micro & small Enterprises (MSE) under Single Point Registration scheme (SPRS) for participation in Government Purchases. The Government is the single largest buyer of a variety of goods. With a view to increase the share of purchases from the small-scale sector, the Government Stores Purchase Programme was launched in 1955-56. NSIC registers Micro & small Enterprises (MSEs) under Single Point Registration scheme (SPRS) for participation in Government Purchases. In tender participating MSEs quoting price within price band of L1+15 per cent shall also be allowed to supply a portion upto 20% of requirement by bringing down their price to L1 Price where L1 is non MSEs. 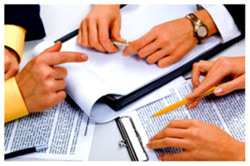 So as to order to furnish the ever-rising desires and demands of our honored customers, we are immersed in providing highly reliable services for Sole Proprietorship Registration. Because of their reliability, timeliness, flexibility and exactness, these services are enormously demanded and recommended all over the nation. As well, our ability to modify these as per the detailed desires of our clients has gifted us massive appreciation in this country. As a reputed and client-centric firm, we make premium quality Brand Name Registration Services available to clients at budget-friendly market prices. These services are provided by our team of experienced professionals in stringent adherence to industrial quality standards. 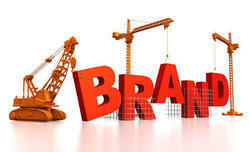 Through these services, the brand name of a company is registered. These services are executed in a timely and professional manner by our highly experienced team of service professionals. Backed by massive industry proficiency, we are involved in presenting to our customers’ world class ESI Registration Services. So as to furnish the detailed demands of our patrons, we spend some time with our clients to understand their needs with a motive to accomplish supreme level of client satisfaction.